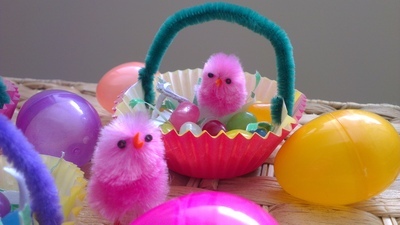 Cupcake liners can easily be transformed by even the youngest of crafters into miniature Easter baskets to create a fun, festive treat. 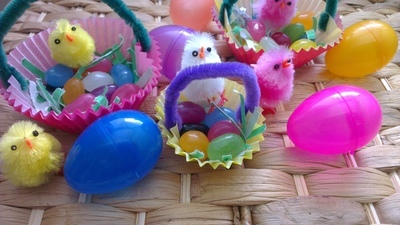 These tiny Easter baskets make great last minute decorations or gifts for school classes, Sunday School groups or family events. Use the hole punch to create a hole in each side of the cupcake liner. 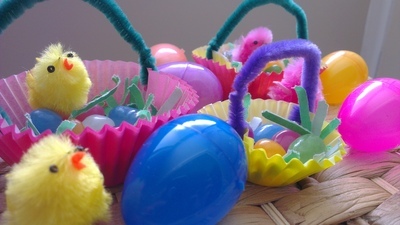 Thread the end of the pipe cleaner into the cupcake liner and bend to make the handle. 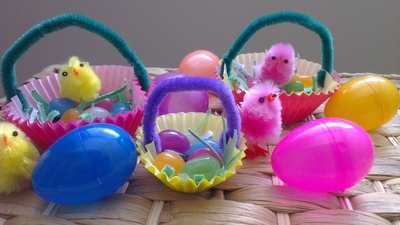 Add Easter grass or shredded paper to each basket. 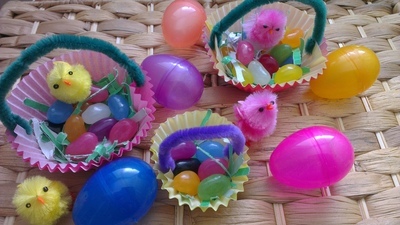 Decorate with jelly beans or candies. 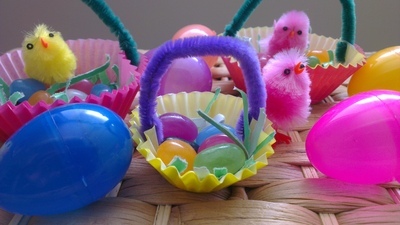 If your cupcake liners are very thin, you can use two liners for each basket to make them stronger. Use stickers, glitter or makers to decorate plain cupcake liners for a personalised basket. Use several baskets to create a table centrepiece that your guests can take home. Or use the baskets as seating cards by adding your guests name.